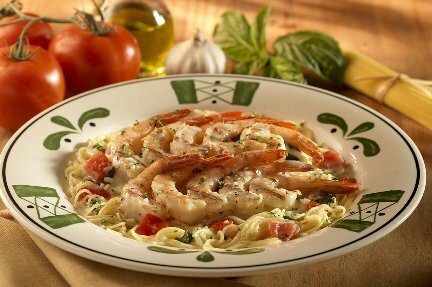 Inspired by Michelle Obama’s “Let’s Move!” campaign, the fast food chain Olive Garden has promised to cut down the calories in the regular menus and to include healthier foods in them, Shine announces. The healthy lifestyle campaign led by the First Lady is determined to beat the child obesity pandemic. Daren Restaurants Inc., the company that owns the Olive Garden chain, is determined to support the child obesity prevention plan initiated by the “Let’s Move!” campaign. In order to do that, they will reduce the calorie and the sodium intake that is now present in Olive Garden’s regulars. In addition to that, the menus for children will include healthier foods. With this initiative, Daren restaurants aligned to Michelle Obama’s campaign. “This is about companies like Darden helping parents meet that responsibility by providing healthy options”, the First Lady said in a speech held on September 16, in Hyattsville, Maryland. Bob McAdam, one of Daren’s Vice Presidents, stated that the menus will not be changed entirely. On the contrary! In order to show that “it is not about telling people what to do, as Mrs. Obama stated, the company will keep the original menus available to customers, but in addition to those, they will also provide healthier options. This way, the parents are able to choose for their offspring whatever type of menu they think is appropriate, or like. The healthier options include fruits, vegetables and milk as beverage. Unlike the original menus, which contain about 1,000 calories (60 to 70 percent of what a child should eat the entire day), the healthy menus will get to 50% – 60% of that calorie amount. Daren Restaurants does not plan the food changes only for Olive Garden, but for all the restaurants the company owns: Red Lobster, LongHorn Steakhouse, The Capital Grille, Bahama Breeze and Seasons 52. Their chains sum up a total of 400 million meals served per day in 49 states. understand that Darden sold out ….opted to get out of the mandatory obamacare….and made a deal with michelle (who has never had a nutrition course)…to do this…selling my stock today…. I will no longer dine at either Olive Garden or Red Lobster since you have bowed down to the Obama’s,I hope others will do the same.It is none of their business to try to impose their agenda on a private sector business.